This week our “Walk With Christ Challenge" is “Seeking Christ’s Help - PRAYING”. We are commanded to pray and communicate with God and doing so will not only bring us closer to Him, but to our Savior as well. God is all-knowing. He does not need us to tell Him what we stand in need of in order for Him to know. God doesn’t need you to pray. You need you to pray. When we are specific in our prayers, we will be able to recognize how God is specific in His answers. We might not recognize His hand in our life if we are not specific in our asking. God does answer our prayers and it is up to us to recognize those answers. When I was very young I had to undergo foot surgery. I could not eat before the surgery because of the anaesthesia. As my parents were driving me to the hospital, I sat in the back in my little carseat and politely asked... “Bottle.” My parents knew what that meant. I was hungry. But since they are smart and loving parents they did not give me my bottle. A little while later I asked again... “Bottle.” I was ignored. So I persisted... “Bottle, Bottle, BOTTLE!” As I began crying, so did my mother. She wanted so badly to give me what I wanted. She even began questioning if she was making the right decision in going through with the surgery. I did not understand why my parents would not give me what I wanted. They had given it to me before, why was this time different? I was upset because I did not understand, and even if they were to explain it to me, I was too young to comprehend. But they knew better than I. If I had gotten what I wanted, it could have been truly life-threatening. I imagine this is how it is with our Savior and Heavenly Father. They want so badly to give us what we desire. However, they see more of our story than we do. Just like my mother, I am sure our Father weeps as He has to tell us “no", or "not right now”. 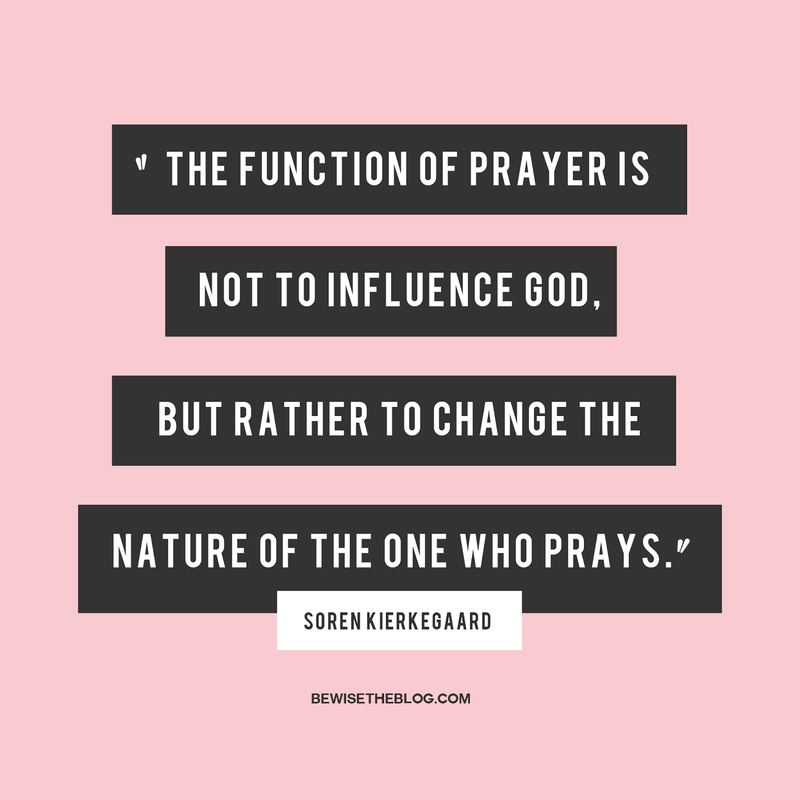 Prayer is not meant to align God’s will to ours, but rather our will to God’s. We should not pray demanding to receive but instead pray to understand what is happening in our lives and why. If you aren’t happy with certain aspects in your life, try praying for strength to endure and for understanding. How can you improve your prayers this week? How can praying bring you closer to Christ? What experiences in your life have you had with prayer? Search “PRAYER” in the Topical Guide and Bible Dictionary.